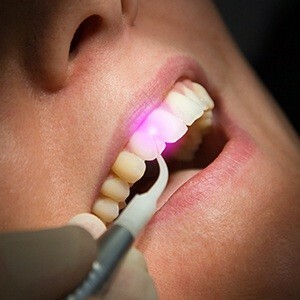 Laser dentistry is quickly becoming a popular choice among most patients. It can be a precise and effective way to perform many dental procedures. If you consider yourself a bit of an anxious dental patient and are seeking maximal safety and comfort, laser dentistry is your best choice. It is estimated that 6% of general dentists own a laser for soft tissue applications, and that number is expected to increase over time. Dr. Jeremy Jorgenson and his team of experts offer laser dentistry services at our Costa Mesa, CA office. 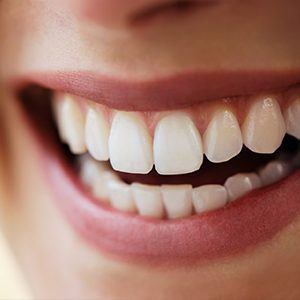 We also offer a multitude of other dental services that will tackle your dental issues. Why Choose Advanced Dental Care for Laser Dentistry? Exposes partially erupted wisdom teeth. Removes muscle attachments that limit proper movement. Manages gum disease tissue during impressions for crowns or other procedures. Removes overgrown tissues caused by certain medications. Removes inflamed gum tissues and aid in the treatment of gum disease. Removes or reshape gum and bone tissues during crown lengthening procedures. Laser dentistry minimizes bleeding because the high-energy light beam aids in the clotting of exposed blood vessels, therefore preventing blood loss. To learn more about our laser dentistry services, please speak with our staff in Costa Mesa, CA, and schedule an appointment. We are happy to extend these fantastic dental services to our neighbors in Costa Mesa, Newport Beach, Santa Ana, Fountain Valley, Irvine, Huntington Beach, and Garden Grove.